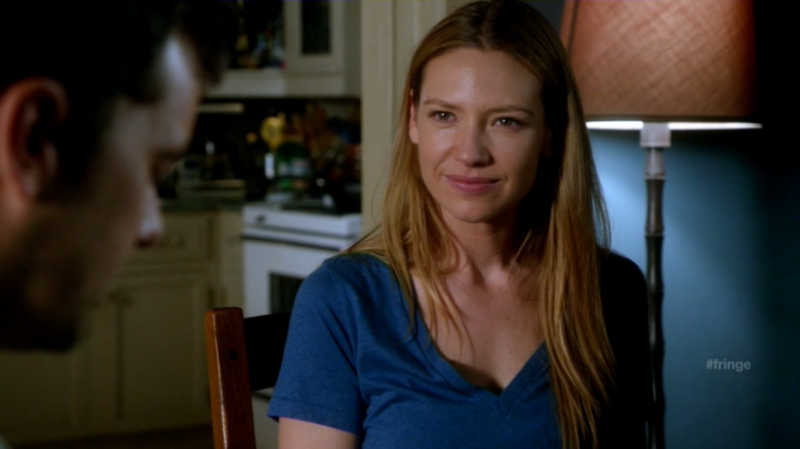 Olivia Dunham (Anna Torv) in need of waffles. Fringe is Back! During the last two weeks my Fringe withdrawal symptoms have definitely started to show, this weeks return was also highly anticipated by fans and I guess we weren’t disappointed. Disappointing was however the news that Fringe wasn’t doing well in the ratings and as such won’t be back for a fifth season if things aren’t turned around by its creative staff. 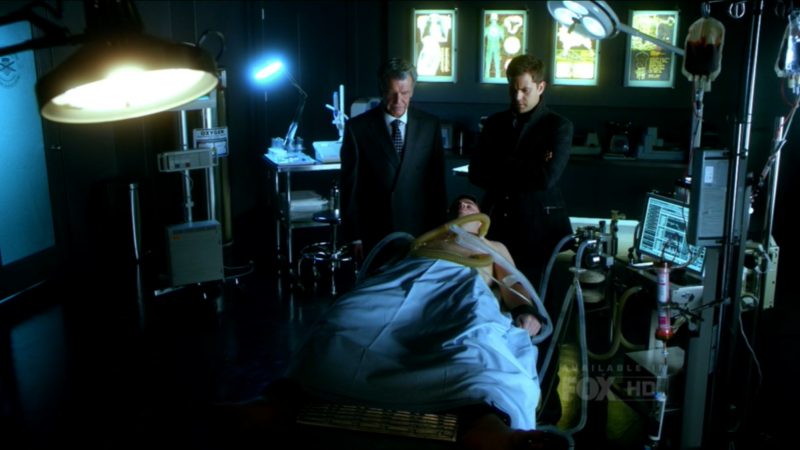 As for this weeks episode of Fringe, its entitled ‘Back to where you’ve never been’ and sets story firmly back on its rails. Peter fails to gain the support of the prime universe’s Walter in returning to his original timeline, so Peter schemes with Olivia and Lincoln to travel to the parallel universe so that Peter can ask Walternate for help. To avoid crossing over via the Machine Room, Lincoln retrieves Walter’s original dimension-crossing device, which in this timeline has been acquired by Massive Dynamic. The plan is for Lincoln to pose as the parallel universe’s Lincoln and bring Peter to Walternate. Peter does not learn until later that Olivia has told Lincoln to discover whether Walternate is behind the appearance of a new class of shapeshifters. Olivia remains behind while Peter and Lincoln cross over at the Orpheum theater. Though Lincoln temporarily succeeds as posing as his doppelgänger, Lincoln and Peter’s real identities are soon discovered by the parallel universe’s version of Lincoln and Olivia (Fauxlivia), having been called off a case by Walternate himself. As Lincoln and Peter are being taken back to Fringe headquarters, the driver of their van divert from the convoy after receiving a call. 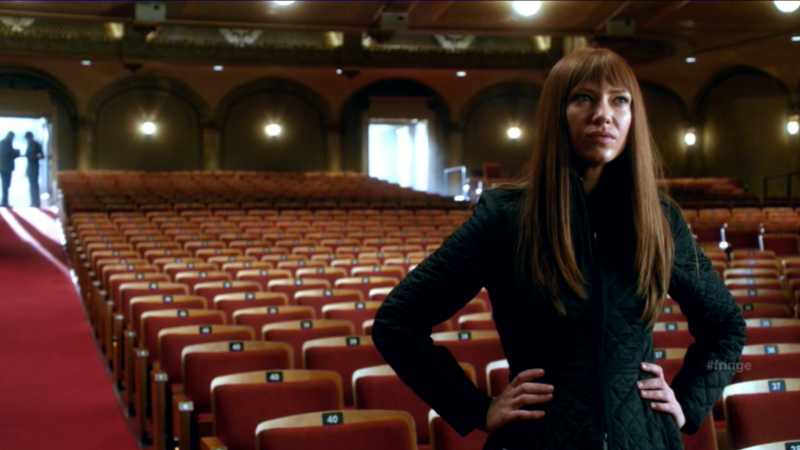 Before Fauxlivia and Lincoln arrive, Peter shoots the driver and is able to get away, leaving the prime universe’s Lincoln to confront Fauxlivia and the other Lincoln. They lock up Lincoln in a closet as Olivia tries to convince alternate-Lincoln that Walternate’s actions are suspicious: Walternate had taken them off of a case involving these new shapeshifters, clearly a Fringe case. Olivia speculates that Walternate might be behind these new shapeshifters. Peter travels to his mother Elizabeth’s home and convinces her to take him to Walternate. There, Walternate reveals that he had already known about Peter, as he had been “spying” on the prime universe. Peter explains that the prime universe does not trust Walternate, believing him to be responsible for the new shapeshifters. Walternate calls in his lead scientist, Brandon, to vouch for him, but surprises Peter by shocking and killing Brandon, revealing him to be a shapeshifter. Walternate is aware that these new shapeshifters have started to infiltrate his government, and requests for Peter to return to the prime universe to gain their trust on his behalf. Only then will Walternate help him return to his timeline. Fauxlivia and Lincoln discover the location from where a phone call to one of the drivers was made, and get Broyles’ permission to investigate the source. 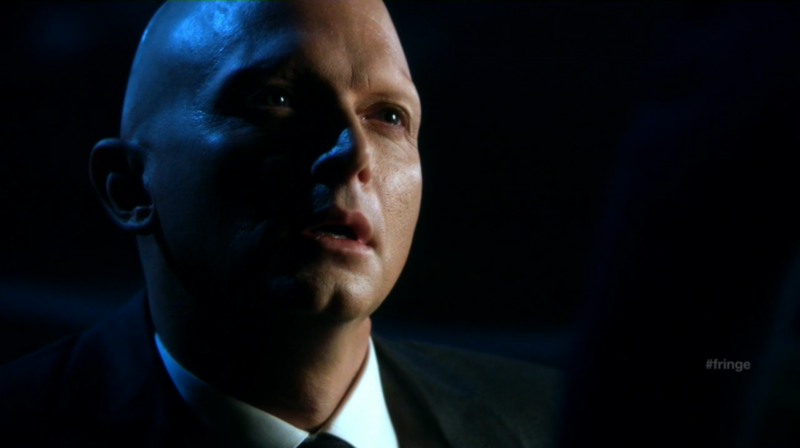 After they depart, Broyles contacts David Robert Jones, and warns him of the arrival of Fauxlivia and Lincoln; Jones is shown to have several more shapeshifters ready for deployment. In the prime universe, Olivia wakes up at the theater to find the Observer September sitting in one of the theater’s front rows, shot in the chest. 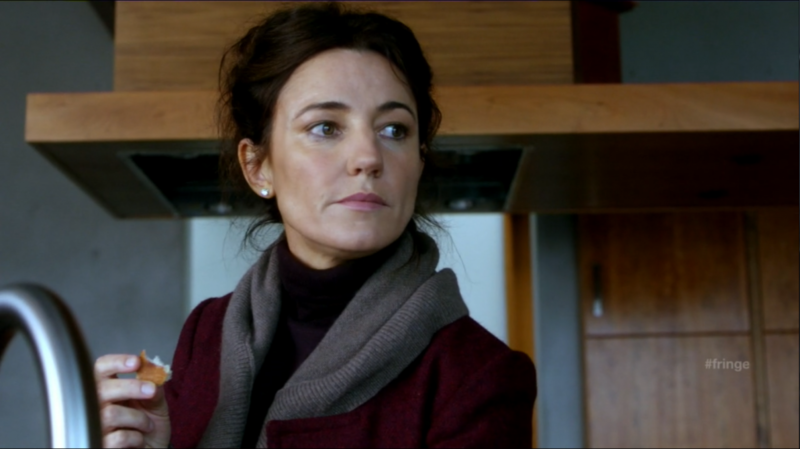 September warns her that he has seen all possible futures, and all of them include Olivia’s death. The Observer disappears before she has a chance to help him or call for an ambulance. The episode was both brilliant and disappointing at the same time, it was as though the creative staff held back in order not to confuse the viewers. The first half of the episode was slow and the latter half seemed to be about not confronting what the viewer must have already suspected about the translucent shapeshifters. What this episode does do is make up for the near absence of the mirror universe from the first 7 episodes of this season, in some respects these 7 episodes might have been contracted into just 3 mythology episodes but as reader know Fringe is trying to appeal to a wider audience. Again I must also complement Anna Torn on her excellent portrayal of both Olivia Dunham and her mirror character Fauxlivia, sometimes I just forget that they are both played by the same actress. If this series is not renewed for a new season than I believe she deserves something challenging. Next weeks episode is called ‘Enemy of my Enemy’ which is a rather suggestive title. Next story Fringe ‘Enemy of My Enemy’ Preview! Previous story Binary Domain trailer!